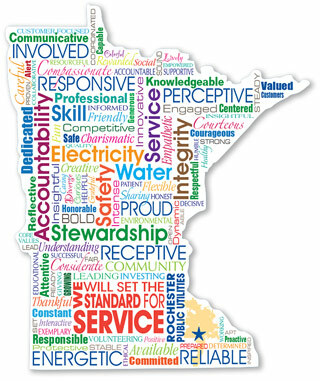 RPU, a division of the City of Rochester, MN, is the largest municipal utility in the state of Minnesota. RPU serves 50,000 electric customers and 39,000 water customers. As a municipal utility, RPU returns funds back to the city of Rochester each year in the form of "in lieu of tax payments."